Cats absolutely love catnip! So, without a doubt, catnip toys make a wonderful gift for your cat. Here you will find several ideas to help you find the perfect catnip toy for your furry companion. It is well-known that catnip causes an exhilarating reaction in cats. Everyone who owns a cat has seen how cats respond to catnip. Most cats go crazy when given catnip… they eat it, they rub it, and will roll over it in excitement. So, what is catnip? Catnip is a type of grass native to Europe. It contains the chemical nepetalactone, which triggers the “catnip response” in cats. It is no surprise that kitties also enjoy catnip-scented and catnip-filled toys. Catnip-toys provide your cat with both entertainment and the amazing effect of catnip. 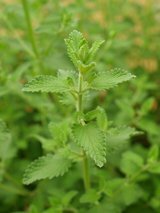 Visit our catnip page to learn more about this grass. Cats love catnip and mice; therefore, a catnip mouse toy is the perfect combination. These toys come in different sizes and colors. There are even battery-powered, interactive toys that come filled with catnip. Has kitty gotten bored with her toy? Do you think that maybe the scent of catnip has worn off? You can always refill kitty’s toy with fresh catnip. What a great idea! This is a perfect choice for active cats. Cats enjoy chasing and playing with toy balls… A ball filled with catnip will provide extra fun for your cat. Generally, this type of toy is made of fabric such as cotton. If you prefer a stronger material, a burlap catnip bag would be the perfect choice. This is another fun idea. Kitty will love the softness of the toy and the scent of catnip. There are many options to choose from: chickens, pigs, even elephants! Go to our plush cat toys page for more information about these cute toys. What a great idea for kitty. Cats will love chasing and bursting catnip-scented bubbles. Lots of fun for you and your cat! An easy-to-make cat-nip toy is just to fill the tip of a sock with catnip and then knot the end closed. For more homemade toy ideas using catnip visit our home made catnip-toy page. Another idea is to revisit those old cat-nip toys. Make them appealing again by sprinkling, rubbing, or refilling them with fresh catnip.